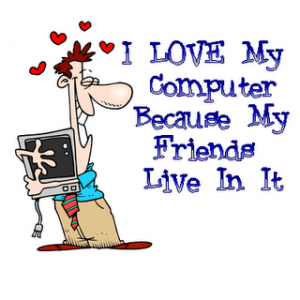 The Primitive Outhouse: Why I Love My Internet Friends! Why I Love My Internet Friends! ﻿just because they want to! address and send them a something! It is so much fun and makes the other person feel good! In the past week or so I have received some goodies in the mail! Holli your the best Luv Ya! Check out her blog it is great! Thank You Jessica, I can not wait to plant those seeds! Thank you Lora, loved the card! Thank you girls you all made my week!! It is soo nice to know people are thinking about you! We definitely have some great sisters on the forum, huh? I love the R.A.G.S. section... its great for when you just want to let someone know you care. How sweet! It doesn't take much to make someones day! Enjoy! Glad you liked them Jan!! I thought you needed a hug!